At the Women’s Building our Community Resource Room (CRR) clients are working with both big and small transitions; from learning to navigate a computer mouse for the first time to finding housing, from looking for jobs to understanding a new culture from learning a new language to leaving violent situations. In The Community Resource Room hovers the majestic print by Maya Gonzalez’ “Bird Out of Mouth” from the series Healing Through The Series (2008). Maya Gonzalez is both an artist and an activist; her artwork consists of paintings, drawings, children’s books and workshops. “Bird out of Mouth” is one of eight images that document the journey of her healing from heavy metal poisoning. Through this process, Maya Gonzalez faced both fear and pain and represents not only her healing but her transformation, growth, and re-birth. Maya donated images from Healing Through The Series to local community organizations to reciprocate the holding she felt from the city during this difficult time. In this same way, Maya Gonzalez hopes her image can now hold the visitors of the Community Resource Room. We are excited to have Maya’s expression of hope and wisdom in the Community Resource Room, reminding all of those who see it, of the possibility of change. 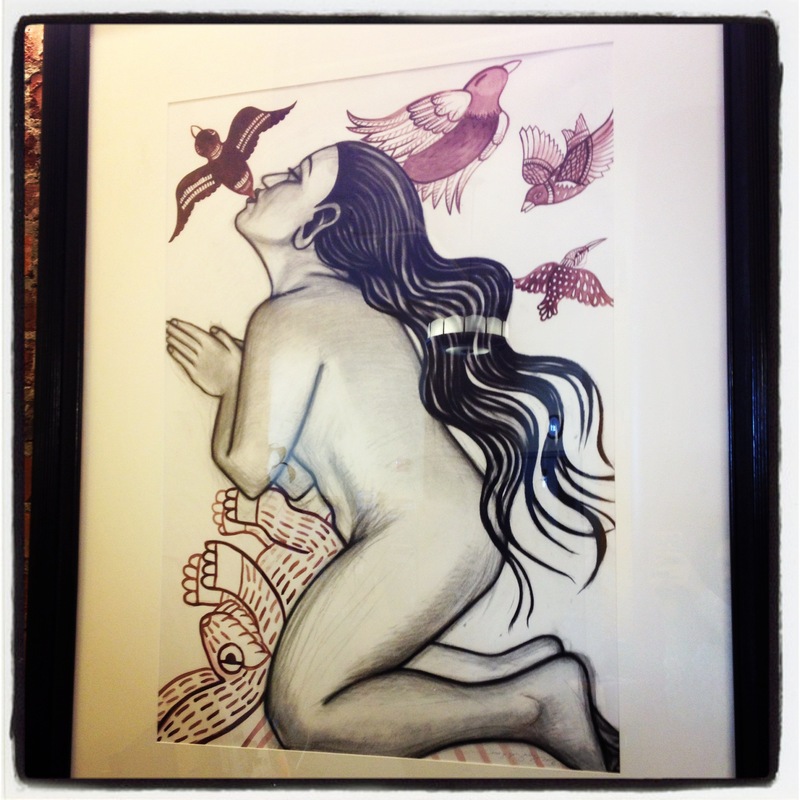 This entry was posted in Community Resource Room and tagged Artist, community resource room, Maya Gonzalez. Bookmark the permalink.